There are a number or reasons why our clients develop a tendency of stunting their emotional expression. Many grow up in homes where they learn to silence their feelings, some suffer from mood disorders that cause unfamiliar feelings, and some come from traumatic, abusive, or negligent situations that prevent them from being able to understand how to express emotions. Regardless of the circumstances, it can be a challenge for clients to learn how to be in touch with how they are feeling. This is the “How I Feel” worksheet. 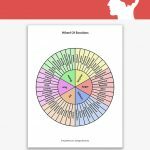 It is a basic, straight forward worksheet that is intended to help the patient develop the habit of being mindful of how they feel throughout the day. 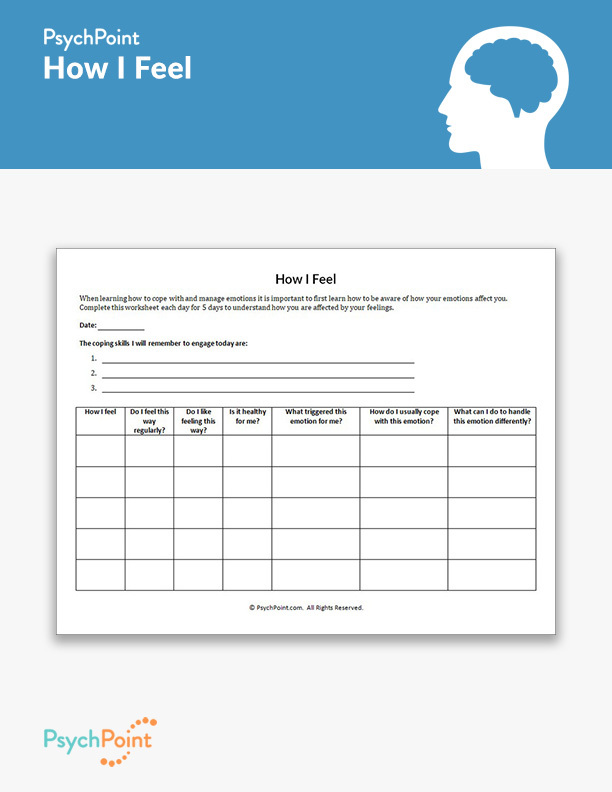 This worksheet helps clients who struggle with emotions and mood swings by allowing them a space to reflect on their feelings and learn how those feelings affect them. The worksheet also allows for space to brainstorm ways to express and handle their emotions without feeling stuck. This worksheet is intended to be used as homework. The patient is expected to use the worksheet as a journal, using a new sheet each day to record the emotions and feelings he or she experiences. On this worksheet, the patient is asked how they feel, if it is a regularly feeling, if it is healthy for them to feel this way, the triggers for the feeling, how to best cope with the emotion, and the actions they can engage in to change their experience of the emotion. It also asks the patient to list 3 coping strategies that can be used each day to manage the emotions. It is encouraged for the patient to try out at least one new coping strategy per day, to build his or her “emotional toolkit”. This worksheet is great homework for both individual and group settings.